NCR is a global corporation which supplies approximately half of the worlds’ automatic cash machines. 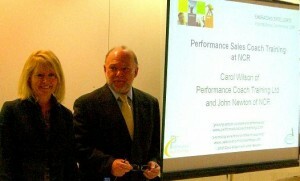 We were asked to integrate performance coaching skills into NCR’s existing sales training modules in order to embed both sales skills and performance coaching skills. Carol Wilson with Global Learning Director, John Newton. Emphasis on cross cultural issues as participants are from UK, Continental Europe, America, India, Singapore, Australia etc. An extended program of paired telephone practice culminating in mentoring conference calls one month after the training. 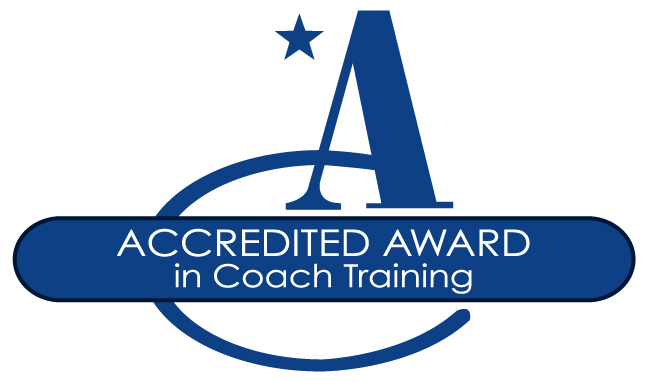 Managers say that the coaching approach saves them time and is useful in most situations, with staff and clients. “It is the best course I have been on and the most useful one to me in my entire life, not just at work. I am glad the company is investing in it. I will willingly take part in more calls and will continue with the coaching practice. On a lot of courses, once the course is over you go back to daily routine. With this, because we had the assignments it made me think about what I had learned and put some discipline in there and made it more useful.” – Dawn Calderbank, VP Retail Channel EMEA at NCR Corporation.